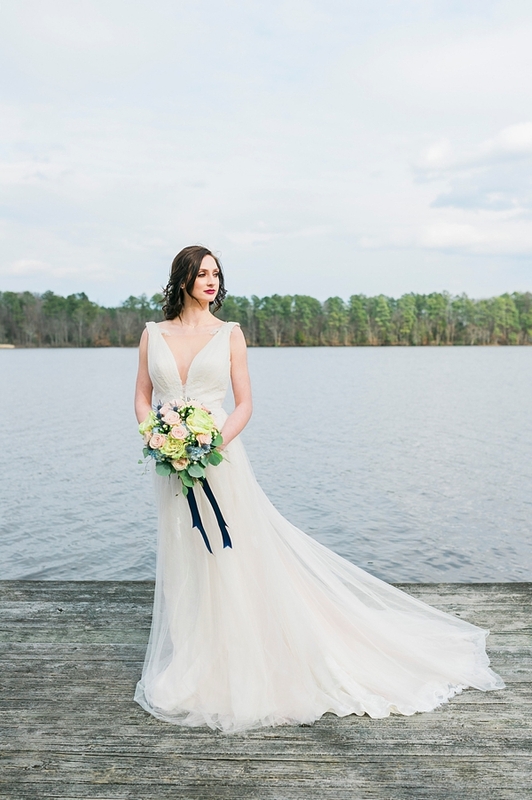 Along the Mattaponi River just outside of Richmond, we get a little riverfront gorgeousness in the styling of a beautiful bridal party at North Point Plantation. 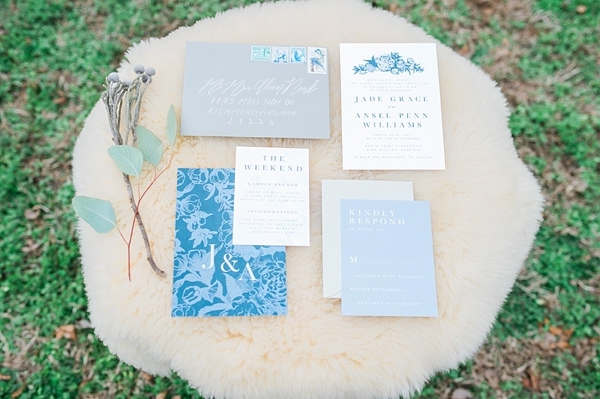 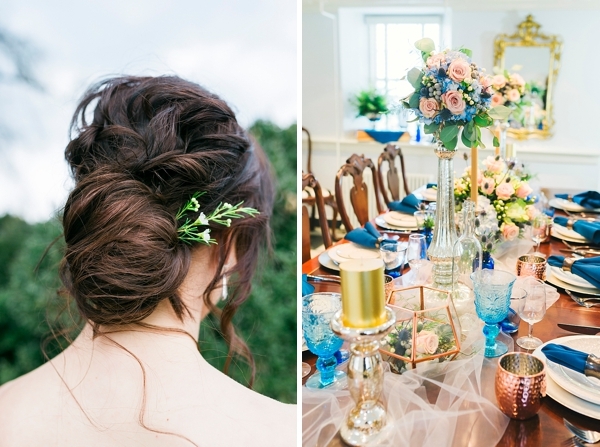 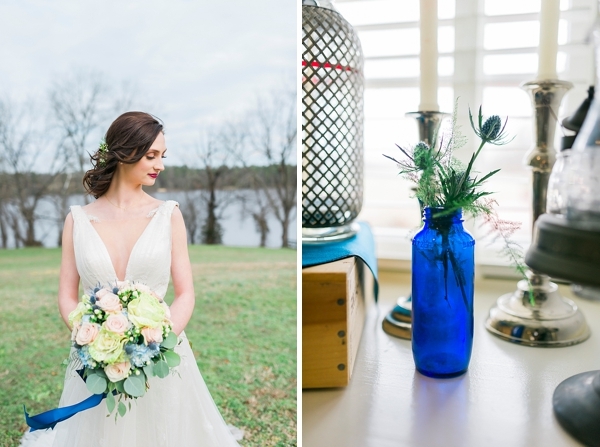 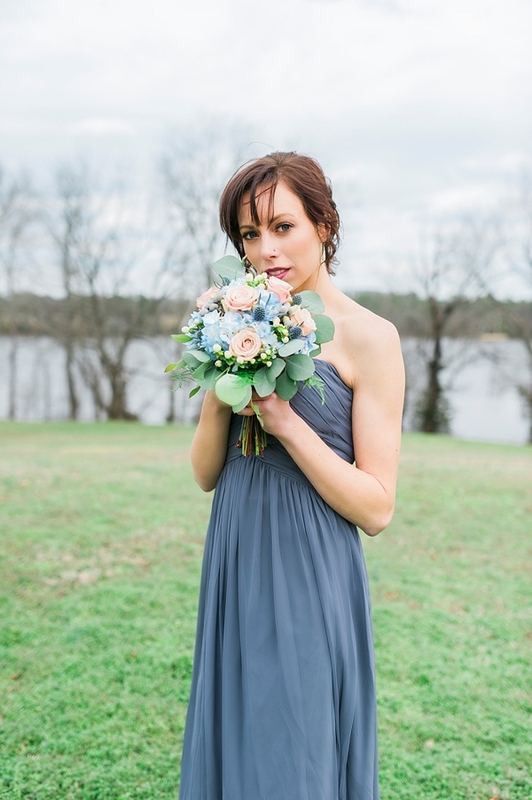 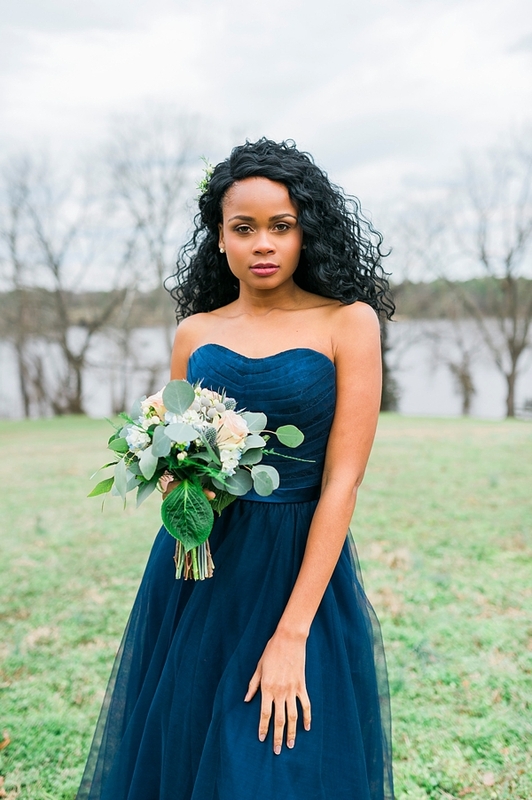 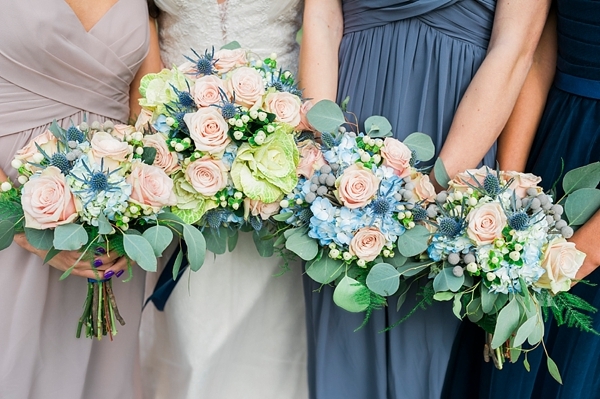 Inspired by moody blues, dashes of blush pink, and greenery for days, Images by Windy, Stag & Lily, and the entire creative team wanted to showcase the beauty and wardrobe of a Virginia bride and her bridesmaids with these stylish ideas! 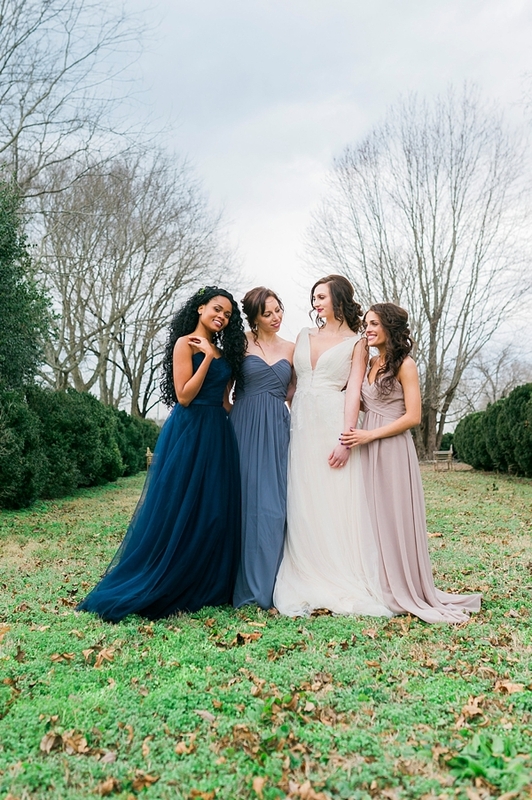 With layers of chiffon and tulle, the bridesmaid dresses mimic the waves of the waters while the bride's gown perfectly complements her ladies with a plunging neckline and delicate lace shoulder embroidery. 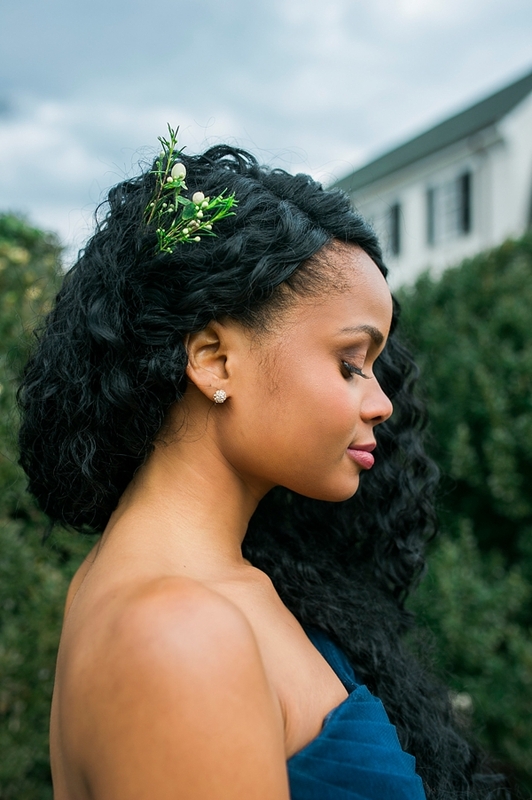 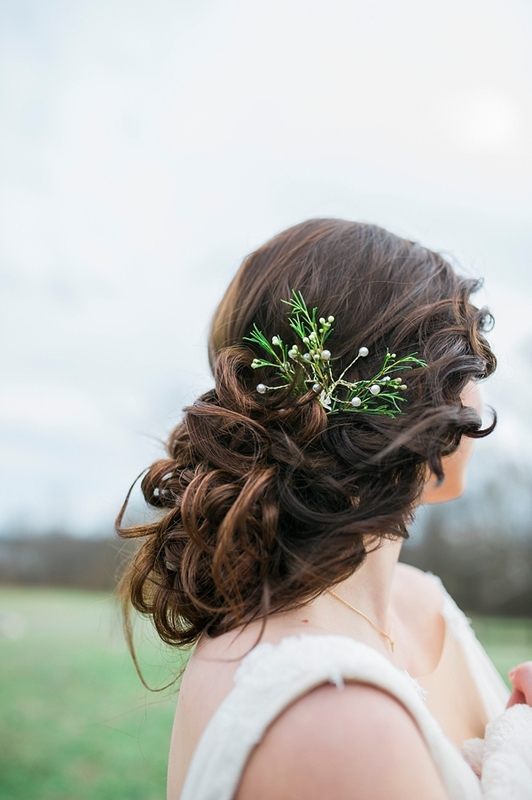 The makeup looks are natural and soft with berry-colored lips and the hair styles are loose curl and simple braids for the outdoorsy setting -- something that can be inspiring for any kind of wedding any time of year! 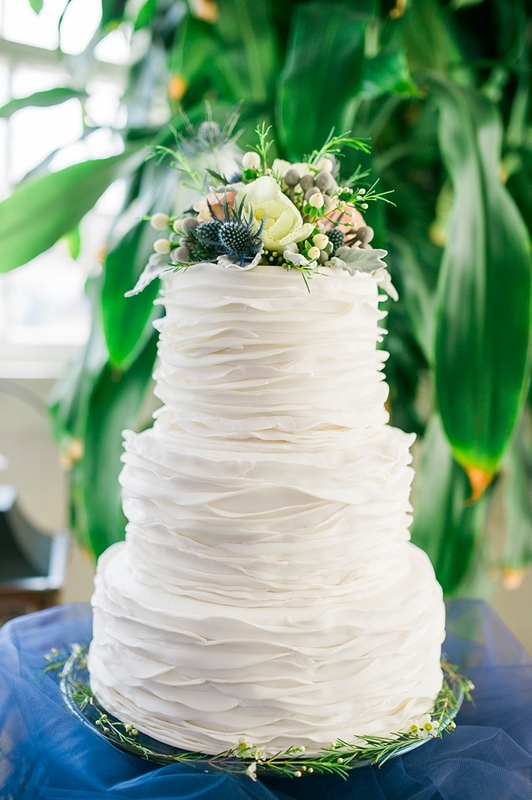 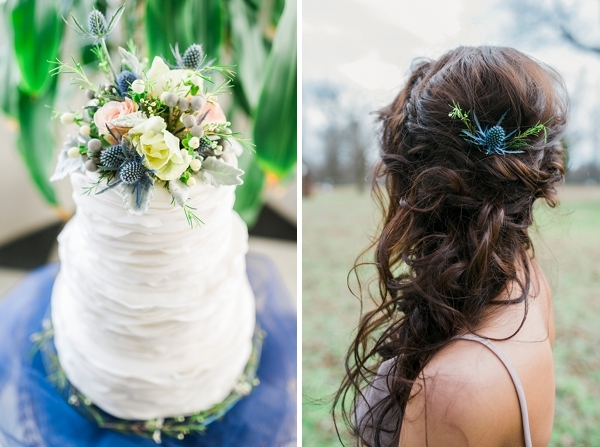 Beyond the wardrobe, we especially love the extra wedding details like a ruffled wedding cake with blue thistles, historic venue backdrop, and bright green cabbage in the bridal bouquet!